Charitable write-offs for donated food (such as by restaurants and grocery stores) are normally limited to the lower of the taxpayer’s basis in the food (generally cost) or fair market value (FMV), but an enhanced deduction equals the lesser of: The food’s basis plus one-half the FMV in excess of basis, or Two times the basis. To qualify, the food must be apparently wholesome at the time it’s donated. Your total charitable write-off for food donations under the enhanced deduction provision can’t exceed: 15% of your net income for the year (before considering the enhanced deduction) from all sole proprietorships, S corporations and partnership businesses (including limited liability companies treated as partnerships for tax purposes) from which food donations were made, or For a C corporation taxpayer, 15% of taxable income for the year (before considering the enhanced deduction). Qualified conservation contributions are charitable donations of real property interests, including remainder interests and easements that restrict the use of real property. For qualified C corporation farming and ranching operations, the maximum write-off for qualified conservation contributions is increased from the normal 10% of adjusted taxable income to 100% of adjusted taxable income. Qualified conservation contributions in excess of what can be written off in the year of the donation can be carried forward for 15 years. A favorable tax basis rule is available to shareholders of S corporations that make charitable donations of appreciated property. For such donations, each shareholder’s basis in the S corporation stock is reduced by only the shareholder’s pro-rata percentage of the company’s tax basis in the donated asset. 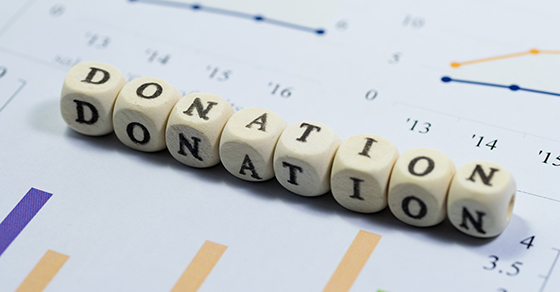 Without this provision, a shareholder’s basis reduction would equal the passed-through write-off for the donation (a larger amount than the shareholder’s pro-rata percentage of the company’s basis in the donated asset). This provision is generally beneficial to shareholders, because it leaves them with higher tax basis in their S corporation shares.